Pork Ribs are great value, versatile and family favourite. Ribs are always a huge hit at barbecues but there is no need to wait for a sunny day to enjoy them. Try marinading them and slow roasting in the oven, for tender eating ribs. It's comfort food at its best! Suitable for freezing. Freeze on or before the Use By date, use within 1 month. 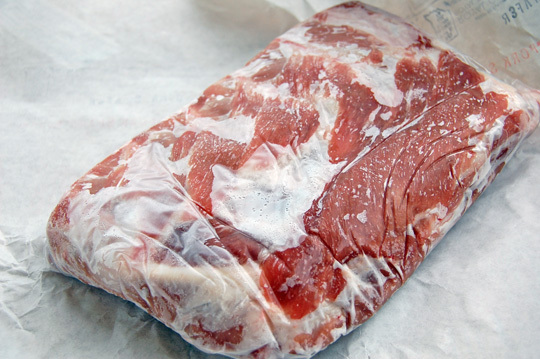 Defrost thoroughly in a refrigerator before cooking, do not re-freeze and use within 1 day. Remove all packaging. Wash hands, all surfaces and utensils after touching raw meat. Preheat oven to 180°C/fan oven 160°C/350°F/Gas Mark 4. Place ribs wrapped in foil on a baking tray in the centre of a preheated oven for 30 minutes. Unwrap ribs and cook for a further 5-10 minutes. Allow to rest for 5 minutes before serving.